Submission guidelines: please include 2 to 4 photos of your garden set up. Then, describe how your system works, any parameters you would like to share, what you are growing, successes/failures, etc. (try to include a couple of paragraphs and enough information so that interested parties might even try to duplicate your system). How to enter? Simply click on this link and submit your entry! At the end, type "contest". Hydro Pics & Contest. TEENS WIN $50,000 WITH HYDROPONICS! Two 14-year-olds from Swaziland recently won Scientific American’s inaugural Science in Action award by coming up with a plan to use hydroponics to provide food for their tiny country which is completely surrounded by South Africa. Besides a $50,000 prize and a year of mentoring from Scientific American, the teens will be flown to Google’s California headquarters in July to compete in the Google Science Fair. In an experiment comparing their biodegradable hydro system to soil cultivation of crops, Shongwe and Mahlalela found hydroponics gave them a 32 percent boost in yield, 180 percent faster plant growth and 114 percent greater profit margin. 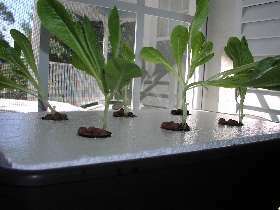 Hydroponics uses nutrient rich water to feed plants, so good soil is not needed. 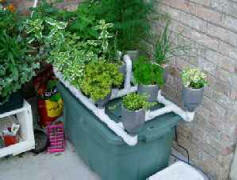 Hydro systems can also be built so that they reuse that water, which makes them more efficient than irrigation. One of the main problems with using hydroponics to feed the poor is that often the systems rely on expensive pumps, nutrient mixtures, and other materials. By using sawdust, chicken manure, and cardboard cartons the young Swazis found a way around the cost barrier. Hydro Tip of the Month- Still bewildered by all the Hydro Hoopla? Are you a kit person? Would you are rather have all of the pieces of the puzzle and step-by-step directions to get you started? Check out our Kit Page.